Having built up a large database of houses across Bedfordshire we are delighted to be receiving lots of calls from new customers looking for a regular and reliable service in Great Denham. This is a lovely area to be working and always one that our team love when they get it on there worksheets. 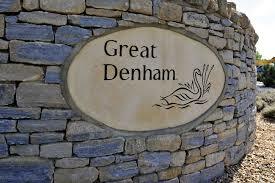 We visit all areas of Great Denham on a regular basis and would be delighted to here from you! Look out for our Window Cleaning vans in and around Great Denham and feel free to come and have a chat with our friendly cleaners. If you need a quote for any window cleaning in Great Denham please do call our office and speak to Sophie who is on hand to take your questions at any time !